What a great way to add that elegant look with this hand carved desk with its queen Anne legs. 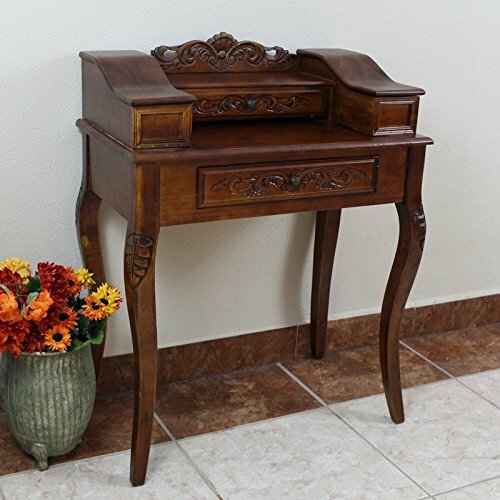 Has carving along the top and legs to enhance its beauty. Comes with two drawers that can be used for storage. Has a hidden compartment on each side. Made from a hardwood with a mahogany finish.